Dave Broom goes rummaging through some lesser-known distilleries (and Aberfeldy) this week, as he goes looking for distillery character and finds it… mostly. 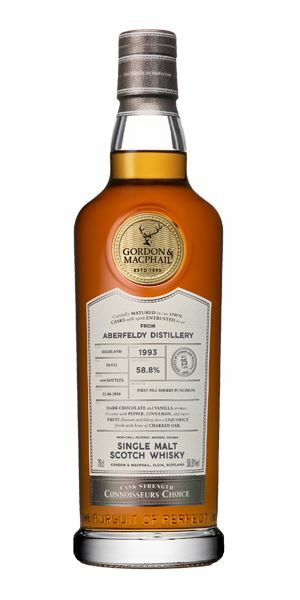 Beginning with a 25-year-old Aberfeldy from Gordon & MacPhail (G&M): the liquid was matured in a first-fill ex-Sherry puncheon, but retains some of the distillery’s trademark waxiness. It’s a whisky at ‘peak maturity’, according to Broom. 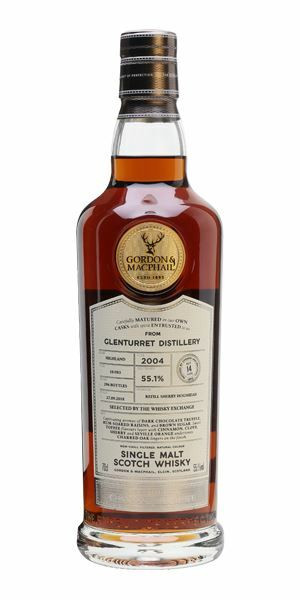 A Whisky Exchange-exclusive Glenturret is a game of two halves for Broom, as a unique nose gives way to a much more conventional palate. It ends not with a bang, but with a dusty, oaky note at the back. A 21-year-old single cask Imperial from Thompson Brothers fares well, with classic characteristics from the distillery making themselves known, such as American cream soda, making it a perfect entry point for those new to the distillery. 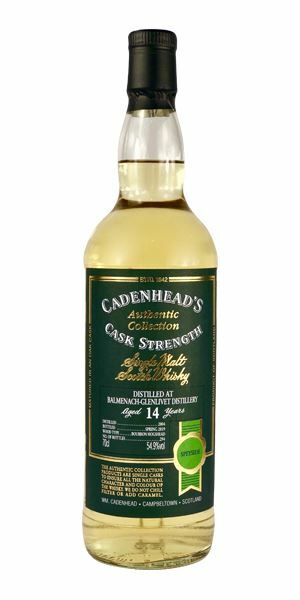 Back to Cadenhead for a 21-year-old Loch Lomond with big, earthy, cereal qualities and a hint of chocolate. ‘Playing on multiple variations of a theme – and doing it well,’ Broom concludes. 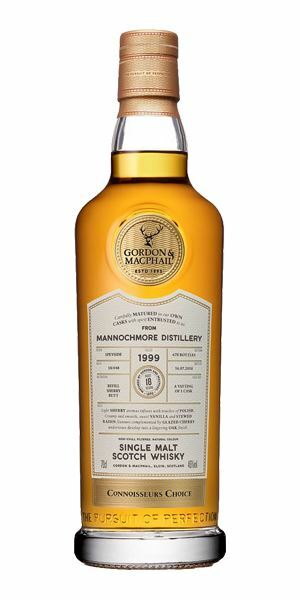 Finally, it’s back to G&M for an 18-year-old Mannochmore and, while there’s very little distillery character on the nose, Broom coaxes it out on the palate, with plenty of citrus and apple. The playlist starts with Bridget St John’s Autumn Lullaby before – realising it’s the start of Spring – seeking help from Dr Strangely Strange. Click on the links in ‘Right Place, Right Time’ to hear more. 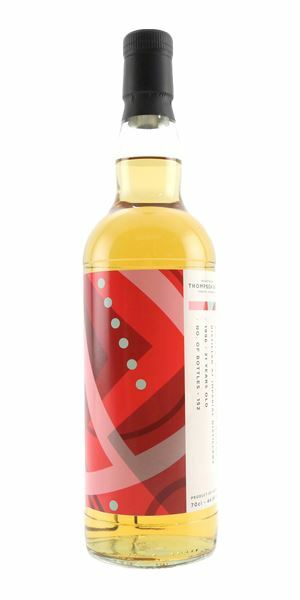 A rounded and rich mix of cooked agave, Manuka honey, a touch of pecan pie and blackcurrant. It then moves towards cherry cake and herbal tea, with a tiny touch of sandalwood and vetiver suggesting age. Water brings out more of the mature, honeyed character, some varnish and a little of the often elusive Aberfeldy waxiness. The mature elements are more overt here, alongside a heathery and sage-scented quality with violet chocolate. Though drier and oakier than the nose suggests, the sweet, honeycomb waxiness gives balance. Water adds in some sultana and more of the scented wood, but doesn’t affect the great length. Here is Aberfeldy at peak maturity. Your head is filled with the sensation of an Autumn Lullaby. Good meaty distillery character from the off. Gravy browning, lamb fat, then wet felt. Then it lightens and begins to sparkle, becoming reminiscent of stickily sugary lemon icing. When water is added, there’s more lanolin, burnt cereal depth, but also jasmine and hints of the sappiness of youth. It’s all here. Initially, it’s this sweetness that dominates, all bright yellow buttercups, lemon and spun sugar tinged with vanilla, then the meatiness and darker blackcurrant-like fruits take charge from the mid-point on. A big, bold, brassy element moves up when water is added, along with some oiliness. There’s not a huge amount of cask influence here. A great example from an underrated distillery, complex and really good. Mortlach lovers, pay attention. A whisky which lurks at the Dark End of the Street. ...and then it all seems to disappear. As expected, it’s big, but now things have become sweetly concentrated, with some barley sugar, sultana, green fig jam and blue fruits. The frame is pretty firm. Water brings out red fruit jam, then that strange funkiness returns. 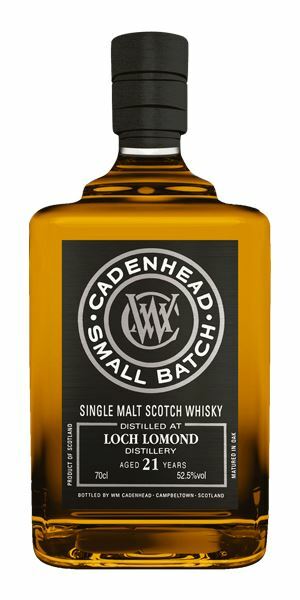 Sourced from G&M as a TWE exclusive, this is constantly teetering on the edge of being off and, as a result, is one of those whiskies that you find yourself returning to – just to try and work out what on earth is going on. Strangely Strange But Oddly Normal. Delicate and estery, with an immediate rush of fresh pineapple and that distinctive Imperial note of Barr American Cream Soda. Things are light, yet intense, in the same way as an eau-de-vie. You start to pick out melon, bright citrus and some creamed horseradish, then camomile. There’s complexity in here. Water brightens things further, adding lift and perfume, some (green) floral notes and a hint of cream. A sweet start that’s also light and lacy, filled with scented talcum powder, flower cordial, lavender and Amalfi lemon – but it also has Imperial’s mid-palate softness. The delicacy is amplified when water is added, which also brings out some scented pear blossom. A shaft of sunlight brightening your day. It might just lack a little length, but it is also utterly gorgeous. Never tried Imperial? Start here. Fresher than the Sweetness in Water. You’re greeted by a big cereal note, wholemeal flour and a health food store, plus a slightly fatty quality akin to Glen Garioch that then moves into dry grass, sharpened pencils and light liquorice. While the cereal element continues when it’s diluted, you also get hemp and a mealy pudding element. Big and chewy, with a Vaseline-like textural quality as the cereal now takes on a roasted malt character, alongside chocolate and ginger snaps. It ramps up in terms of weight and power. With water, you get more hazelnuts, crackers, some of the oiliness and then light spices. Playing on multiple variations of a theme – and doing it well. Pass me the Brown Rice. There’s cask influence galore here: walking deep into the woods in the rain, smelling mulch, damp woodchips, leaf litter, wet ferns and moss. This shifts aside slightly, allowing some stewing citrus to come in, along with the Muscatel note of Assam tea. Add water, though, and it’s bletted or softened medlars, with more of the wet moss. Much sweeter, with a tangy root beer quality. There’s greater coherence between the seemingly disparate elements found on the nose. The coastal rainforest moves back, allowing nutmeg and medlar jelly to come through. The addition of water moves things even further away from the aroma, bringing out more citrus, apple and honey as the distillery finally moves forward. Woods and then, with water, intense, ripe apple. A mazy path through a Moss Garden. 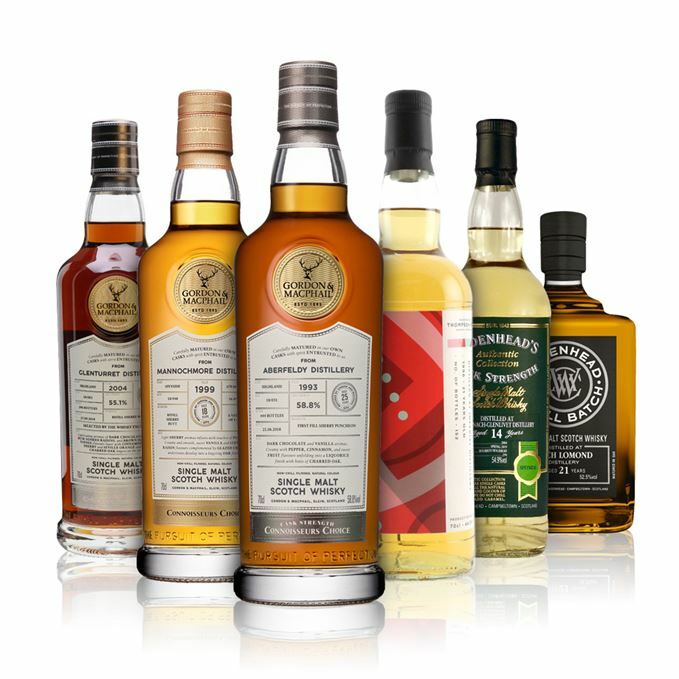 Batch 191 15/03/2019 An old Benromach, a blended malt and Daftmill’s Winter Release surround a trio of Tomatins.